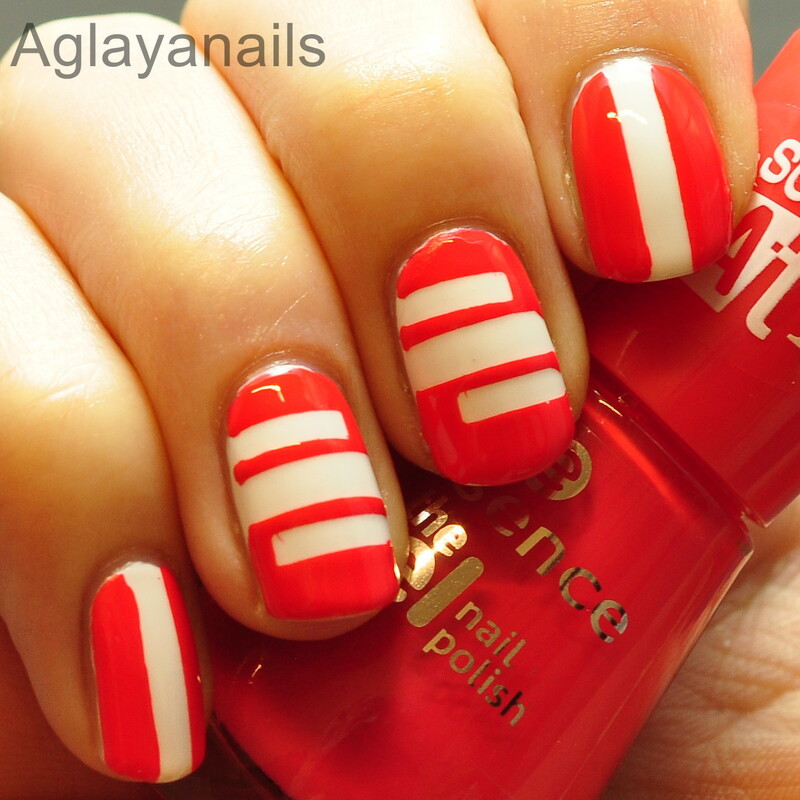 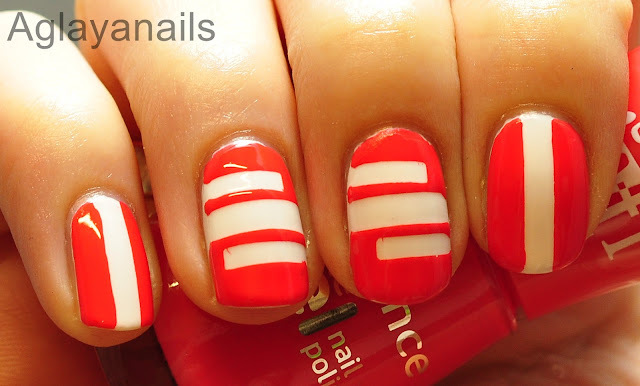 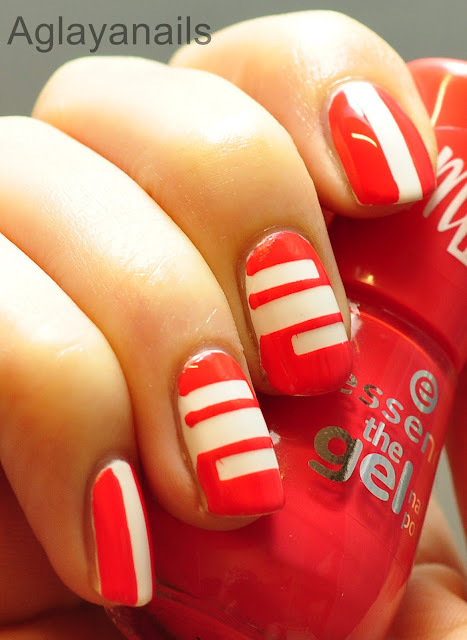 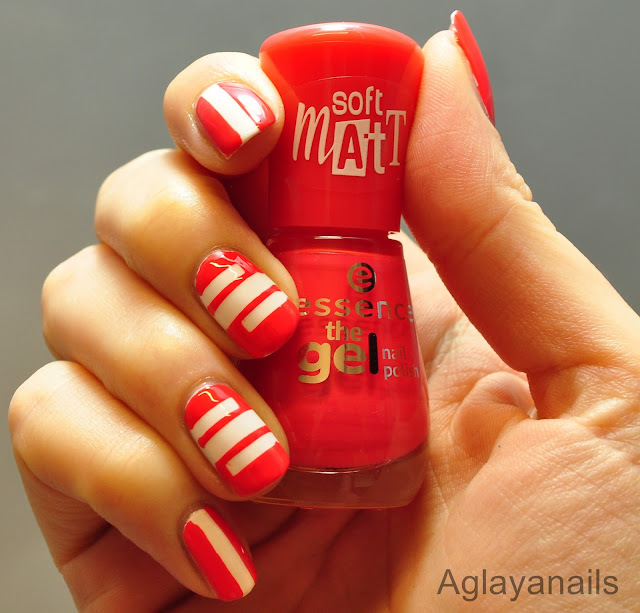 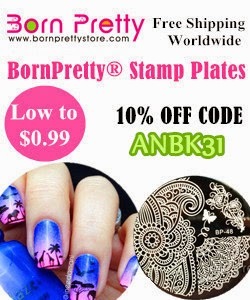 It's time for the next 40 Great Nail Art Ideas mani, this week with the colors coral and white. My personal pattern prompt is stripes. 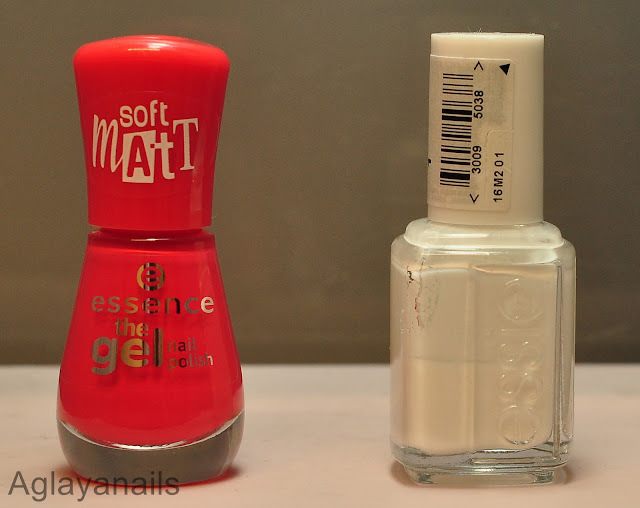 I started with two coats of Essie Blanc, my usual white nail art base. 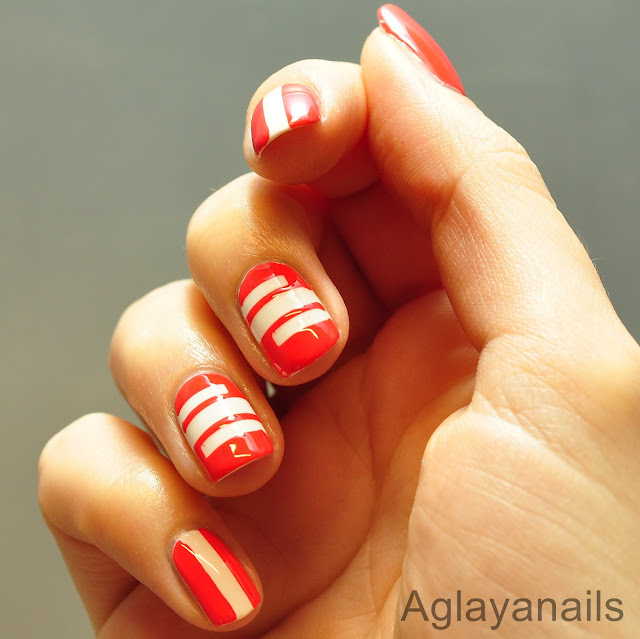 When the base was completely dry, I added some straight Nail Vinyls and added one generous coat of Essence Va-Va-Voom, a vivid, almost neon coral polish that dries to a semi-matte finish, plus one coat of KSBhimmer Clearly On Top after removing the vinyls.